Audio Fidelity has announced a July 10th release date for the reissue, which will be pressed on 180-gram virgin vinyl and issued in a numbered limited edition. 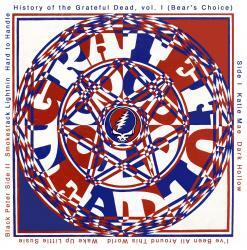 "This is what The Grateful Dead sounded like at the close of the 1960's and the dawn of the 1970's." History of the Grateful Dead, Volume One (Bear's Choice) consists of selections from two magnificent moments in the band's history, February 13-14, 1970 at the Fillmore East in New York City at a time they were still making the transition from acidic to countrified music and their live performances included tunes from every corner of the American pop songbook. This 1973 release is the ninth album and the fourth live album by Grateful Dead and was compiled as a tribute to Ron "Pigpen" McKernan, the band's original keyboard player and blues aficionado, who died while the album was being prepared. The "Bear" of the title is Owsley Stanley, underground chemist turned Dead sound man. The album was recorded and produced by Stanley, and fans often simply refer to the album as "Bear's Choice". The set consists of seven songs, six of them covers, the first five songs are stripped down acoustic numbers with a nice bluesy feel to them. The album's sole original composition, Jerry Garcia's, "Black Peter," is a masterfully executed beautiful tune that ends Side One. This second half of the record belongs to Pigpen and these last two tracks are stunning electric offerings - a 20-minute, crazy old truckin' blues cover of Howlin' Wolf's "Smokestack Lightnin'," and Otis Redding's "Hard to Handle" is a classic Dead hustling shuffle - Garcia is at his best, the vocal cooks and the band is tight and quick weaving their collective R&B-influenced psychedelia. The record peaked at #60 on the Billboard 200 - it is perhaps the Dead's most rustic album. The band sounds genuinely informal, with impromptu stage chatter adding to the low-key ambiance...just like a bunch of guys hanging out and making great music. "...a tremendous guitar record....a mix of acoustic and electric guitar lines - It ROCKS!" An appearance on the final night at Woodstock only reinforced the status of Ten Years After as one of Britain's premiere blues rock bands and they were at the height of their powers in 1971 when they released "A Space in Time". The record includes their classic rock hit, "I'd Love to Change the World" - with guitar riffs that must be included among the greatest in Rock'n'Roll history - the album went on to be their all-time best seller. Guitarist and vocalist Alvin Lee provides exceptional blues leads and the majority of the songwritingalong with band mates, Chick Churchill on keyboards, Leo Lyons, bass and drummer, Ric Lee. "A Space in Time" is a mature work, more restrained than the band's previous albums primarily because of the liberal use of tasty acoustic guitar and plenty of sound effects and studio tricks that complement the overall texture...and it really works. There's still Alvin Lee's lightning quick blues licks, but he also knew how to slow it down on the quieter tracks as well as write some powerfull tunes ranging from the folky "Here They Come" to the Chuck Berry-influenced, "Baby Won’t You Let Me Rock and Roll You" and "Let the Sky Fall" is a standout track with psychedelic vocals reminiscent of Jimi Henrix. Alvin Lee has said "A Space in Time" is his favorite album...some would call it a masterpiece of rock. 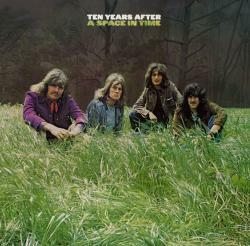 "...a classic album filled with old-fashioned, good time rock & roll"
Other singles which followed included the rockin' "Can't Stop This Thing We Started," which became a number two hit, the mid-tempo ballads "Do I Have to Say the Words" and "Thought I'd Died and Gone to Heaven," and the fun, straight-ahead rocker "There Will Never Be Another Tonight." Adams co-produced the album with Robert "Mutt" Lange previously known for his work with AC/DC, Foreigner and Def Leppard. 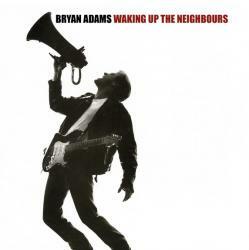 Audio Fidelity is proud to celebrate the 20th Anniversary of Waking Up the Neighbours and to honor Bryan Adams who has sold more than 65 million albums worldwide, toured six continents, garnered 21 top 10 hits, earned nominations for three Academy Awards and five Golden Globes, received 18 Juno Awards, an American Music Award, and five ASCAP Film and Television Music Awards for Most Performed Song from a Motion Picture - his music has appeared on more than 40 movie soundtracks. 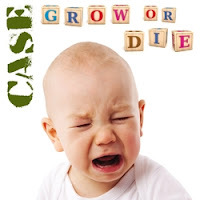 We're very pleased to be releasing four brand new songs on this EP by the recently reformed CASE. Following on from their compilation album from last year which brought together all their original early recordings. It's limited to 500 copies on white vinyl. CASE formed in Croydon in 1979 after being introduced to each other by Slimy Toad from Johnny Moped. Case played the pubs of south London and finally released their one and only 7", the ‘Wheat From The Chaff’ EP in 1983, it reached the top of the independent charts and led to them being played heavily on BBC radio including plays by John Peel, Janice Long & Kid Jensen. Originally, in 1980, CASE played primarily at a (fairly rough) pub in North Croydon, called "The Star" and built quite a following there before larger, occasionally more salubrious, venues beckoned. They famously played at The Rainbow in November 1981 - where smoke flares and buckets of maggots flew into the crowd as the band played, the Marquee Club (where they were banned for playing an encore – the only band to be banned for this since the Rolling Stones), Hammersmith Palais, 100 Club, the BBC Paris Theatre, ICA, & the Woolwich Tram Shed (and Chislehurst Caves!) amongst other less-prestigious venues. With better management who knows where CASE may have ended up – as it is - they retain a legendary status among the legions of punk/ska fans...and graffiti historians. Something about CASE seemed to attract fanatical fans, several claiming to have seen every gig, since the early days in Croydon, and one in particular who, whilst working in London, spent his lunchtimes visiting public toilets all over the city - unrolling the rolls of toilet paper and writing CASE on each sheet on the roll, with a biro, before rolling them up again. These were strange times. 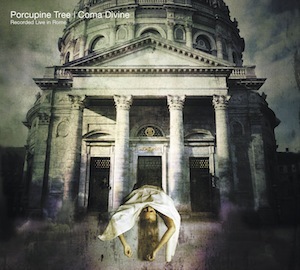 A glorious triple vinyl edition of the first ever official PT live recording featuring bonus tracks not included on the original 1997 release, including the early classic, Radioactive Toy. 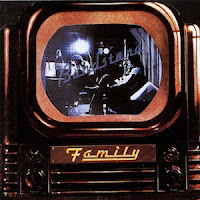 A vinyl edition of the highly regarded 1972 Family album, which has been re-mastered from the original tapes. Containing the hit Burlesque and the evocative My Friend The Sun, Bandstand was the last album to feature John Wetton prior to his departure to King Crimson. This edition is pressed on heavyweight (180g) vinyl and packaged in a gatefold sleeve that mirrors the iconic 'TV' artwork (with window patch and shaped inner bag). 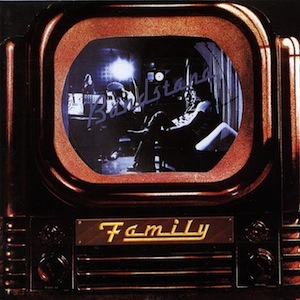 This special edition reissue is strictly limited to 2000 individually numbered copies and is the first in a series of re-mastered classic albums from the Family catalogue to be released on Madfish. 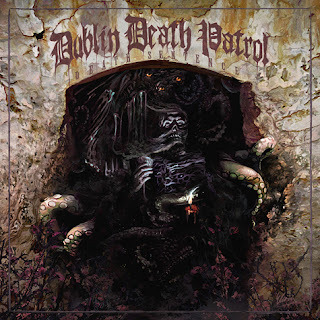 DUBLIN DEATH PATROL (DDP) - the band that features TESTAMENT singer Chuck Billy and former EXODUS and LEGACY vocalist Steve "Zetro" Souza are set to release two albums on the Mascot Records label, 2005's "DDP 4 Life" and 2011's follow-up effort, "Death Sentence", on August 14. 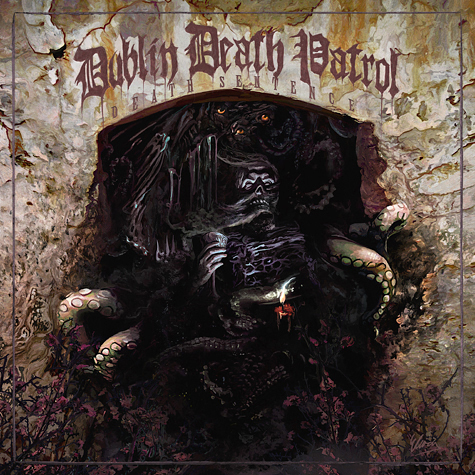 The "Death Sentence" cover artwork was created by Eliran Kantor. EMI is continuing their Smashing Pumpkin’s vinyl reissues with "Pisces Iscariot", due out on 180 Gram double vinyl July 17th. Their latest PR release hints at more reissues to be announced soon! In the meantime, "Pisces Iscariot" has been remastered and reissued for the first time on vinyl and is available for pre order now.